I started in Rhydderich Hael after watching a fighting demo at my younger brother’s middle school. 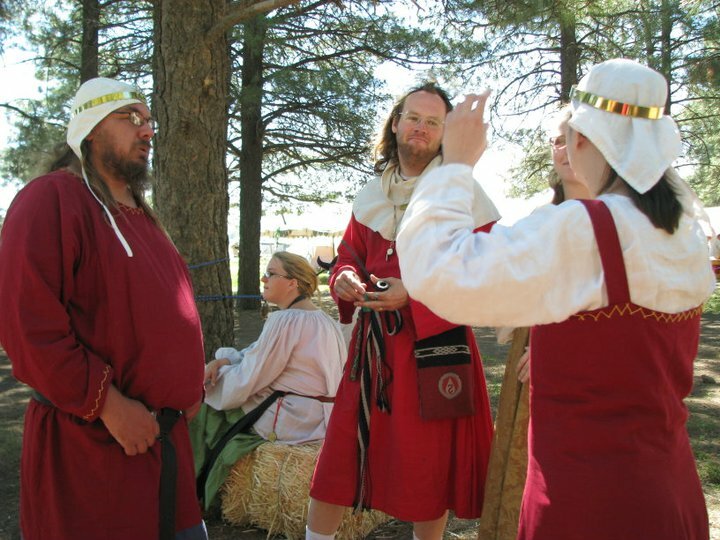 My first event was Ice Dragon, where I served as a Page under Clement of Morocco serving feast. What is your persona? Early 1200’s (4th Crusade) Welsh. I have family ancestry from Wales, Scotland, Ireland, England, and Finland… among others. I chose Welsh due to the history of successful repulsion against conquest, and general interest in the “Struggles of the British Isles” without picking a more common, “English, Irish, Scottish, Viking, Norman, etc” persona. The Welsh are, in many respects, the last of the original Britani people. The only group I’ve ever been formally associated with is the now defunct “Clan Kitemitsu” from Atenveldt. We fielded 15 fighters at our peak, and I was clan champion. I’m free roaming at the moment. I’ve studied (and professionally tutored) mathematics, philosophy, chemistry, and physics. I’ve been an EMT, and I’ve managed at a fast food chain. I’ve worked customer service, telemarketing, and line manufacturing (repeatedly screwing the cap on the bottle type stuff). I am currently a Photo-Voltaic system designer, a structural and electrical engineer producing blueprints for residential solar power systems. I am primarily a heavy fighter, though I’ve also done rapier to a limited degree. I volunteer, even if not in a recorded manner, at almost every event I go to. I was a member of the Chirurgeonate until it’s dissolution due to legal quandaries. 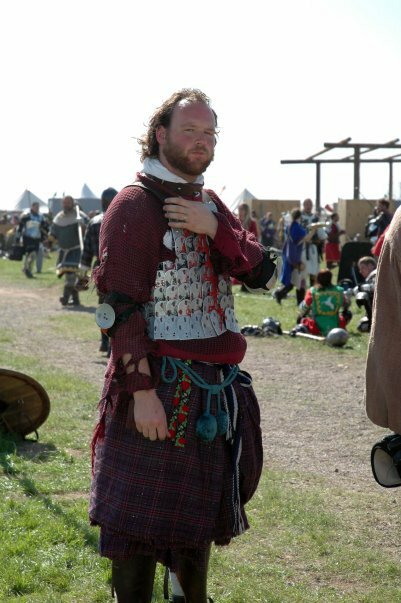 I’ve created most of my own armour, but I’m not very good at fabric things. Initially, I started with dancing since I wasn’t old enough to fight back in 1996 (because the rules were different). I am trying to get back into fighting, recovering my previous prowess and advancing my skills… helping to train others and pass on what I know… and just generally participating more. Win a tournament using my preferred style, long sword. Try everything. Find out what you like, learn more about it, and get better at it. Listen to stories. Ask how you can help, because you’ll be exposed to more things that way. I can’t say I would want to magically have a talent I don’t have. Without working for it, I wouldn’t know how to use or apply it. Working hard to get better is part of the journey. The only thing I would magically want would be a mundane thing… and in our current world, that would be the time and finances to train more and attend most events. I want to work towards peerage, both Knighthood and Pelican. One day, perhaps even Crown when I’ve been involved enough in the “behind the scenes” and attained an exceptional level of prowess, martial and otherwise. I feel I have a lot to offer, but I know I’m not at these levels yet. Being modest, I just want people to be aware that I’ve only have my AoA… for people to observe my talents and behavior and recommend me for what they feel I’ve earned… and help me learn on my journey. 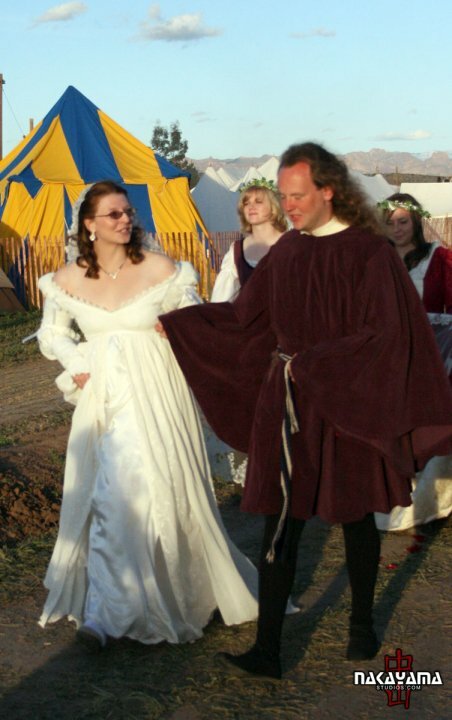 To me, the SCA is more than a dream… more than a game… more than an escape from reality. It’s a way of life. Preserving more than just knowledge and skills the world has left behind, but also culture. The brightness of our shared dream shines upon the darkness that threatens to envelop the modern.